If you are struggling with debt, you may feel that your options are limited. It can be worth your while to consider debt counselling to help you discover that you do indeed have options. Meeting with a trained credit counsellor will help you understand your options and develop a debt management plan. “There are a number of benefits to meeting with a debt counsellor. You can expect personal support during a challenging time in your life. A trained credit counsellor will help you analyse your debt and discuss some of the reasons behind your debt problem. 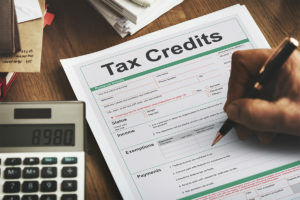 They can also recommend an appropriate strategy, based on the analysis for you to pay down your debt, which may include a debt management plan,” says Jeff Schwartz, executive director, Consolidated Credit Counseling Services of Canada. 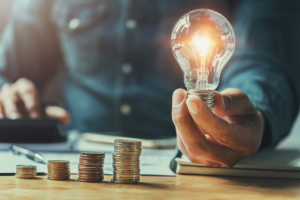 “One of the real-life tools that a debt counsellor will be able to help you with is establishing a working household budget, which is crucial to being able to pay down your current debt load and to staying debt-free in the future,” says Schwartz. Are you curious to learn more about debt counselling and debt management programs? Read on. It is essential that you choose a credit counselling agency that is reputable. Unfortunately, there are a number of companies out there that don’t have your best interests at heart. Before you agree to work with a company, make sure that they are accredited with membership in a provincial or national association. You can also check with the Better Business Bureau. Similarly, make sure that you are working with a credit counsellor who is properly trained. A debt management program (DMP) is a personalized strategy that is conducted with the assistance of a credit counsellor that will let you pay down your debts once and for all. In a DMP, your credit counsellor negotiates a payment schedule on your behalf with your creditors. Many unsecured debts (even medical bills, for instance) can be included in a debt management program. The credit counsellor will set up a payment plan based on what your budget permits. Typically a debt management plan extends over a four year period. In many cases, your debt counsellor is able to get your debt obligations reduced by the creditors. In many instances this is through payments and reduced the interest charges. When would you consider a debt management program? Typically, a debt management program is a good option for people who can’t qualify for a traditional consolidation loan because of poor credit history or don’t have the resources to do a DIY consolidation. If you owe about $5,000 or less, or don’t have many creditors (i.e. five or less, generally) then a debt management program is a viable option. Usually, if you enter into a debt management program, you are capable of paying off your debts; you just need an extended timeline without more interest accruing on the debt. If you don’t anticipate being able to pay off your debts, or are struggling with secured debts, like a mortgage or a car loan, a debt management program is probably not your best option. Ready to get the support you need to take care of your debt problem? Call one of our trained credit counsellors at 1-888-294-3130 or get started with our online debt analysis.